The first 4 of the 10 Commandments given in Exodus 20 were related to worship. It is, therefore, no accident that the idolatry command comes first! We will never break commands 2-10 unless we put other gods before the One True God. • What thing, person, or future promise in my life is so important that should I lose it I would feel life hardly worth living? • Something related to our family or children. Our Kingsland mission statement speaks of “True Fulfillment in Jesus.” It all hinges on the tragedy that so many people are living lives in pursuit of false fulfillment. They’ve made “good things” into “god things” and they wonder why that job or school or car or house or vacation doesn’t satisfy. If we are worshiping false idols, we’re not doing what we’ve been designed to do. • Take an idol inventory of your life. • What do you spend your time thinking about? • What do you fear being discovered about you? • What are you most fearful of losing? It’s so important to identify idols. Idols not only rob us of a great worship experience, they also rob us of embracing the Gospel! We want to worship only the One True God! One of the greatest gifts we’ve been given by the Lord is the gift of this day. The Scripture offers us some wise counsel on the best way to live every day. 1. We should treat every day like it’s our only day. The Apostle Paul understood how important this was and spoke about it in Philippians 3:13 — “One thing I do: forgetting what is behind…”. Yesterday is gone and we have no guarantee of tomorrow. Therefore, we should make the most of this day — the day that the Lord has made — and fill each moment with the kind of living that honors Him. • What do you need to prioritize in order to make the most of this day? 2. We should treat every day like it’s the Lord’s day. B = Begin with prayer. L = Listen to others. Take a genuine interest in them. E = Eat with others. Invite them to your table. S = Share your personal story and talk about how Jesus has changed your life. • Who will you bless today? 3. We should treat every day like it’s an extraordinary day. • What has God has called you to do today? Psalm 117 is the shortest chapter in the Bible. This psalm is also the middle chapter of the Bible with 594 chapters preceding it and 594 chapters following. In God’s worship, it is not always necessary to be long; few words sometimes say what is sufficient, as this short Psalm helps us to understand. Psalm 117 is a summons to all peoples to praise the Lord. Praise translates the Hebrew word “hallel” which means “to shine” or “to glorify” to “to praise.” The Bible often instructs us to praise God. As His people, we should develop the habit of praising God often and with a loud voice so that everyone can hear. In what ways do you express your praise to God? Christian pastor and author John Piper said, “Missions exists because worship does not.” God invites all peoples to praise Him. We must go to the nations to share with them the beauty of Jesus so that they too can join us in praising God. How can God use your praise to inspire the nations among us to look toward God? 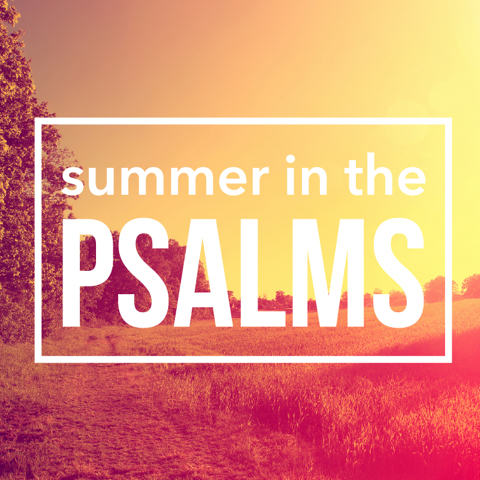 The Psalmist also invites us to praise the Lord because His steadfast love endures forever. As we look back on our lives, we can see the evidence of God’s never-ending and faithful love “toward us.” Seeing the fingerprints of His love should cause us to praise Him. Take a moment to reflect on the evidence of God’s steadfast love in your life and then praise Him. This month, Kingsland’s student missions teams served from Houston’s inner city to the ends of the earth. More than 400 students and sponsors traveled the world to declare God’s mighty acts among the nations. As God’s people, we should look for every opportunity to talk about His greatness. 1. We should speak passionately about God. Speaking passionately about God is our most powerful apologetic. When David spoke about God he did so in the most personal and intimate ways. Because David knew God intimately, he was able to speak passionately. Does the intimacy of our relationship with God work its way into our daily speech and conversations? 2. We should speak often about God. Speaking often about God not only impacts our generation, it also helps the next generation to learn of His greatness. Like David, we must “declare His mighty acts” and speak of them often. The early church spoke often about Jesus and how wonderful He is and how He could transform lives. How often do you speak of Jesus and how wonderful He is? 3. We should speak often about God because He is the only eternal topic. So much of what we speak about is temporary. It’s easy to allow our speech to be characterized by fleeting topics. Speaking about God, however, is different. He will not pass away nor will His word pass away. What steps can you take to intentionally make God and His greatness a part of your daily speech? Psalm 119 is the longest chapter in the Bible. It is a love poem about the Bible. Reading God’s Word will change your life. Three compelling reasons to read the Bible. 1. Read the Bible because it’s a supernatural source. 2. Read the Bible because it is a trustworthy source. The early church authenticated the books in 397 AD. The Bible speaks of science in ways that weren’t known at the time. Prophesies foretold were fulfilled. The whole Bible has unity and continuity. 3. Read the Bible because it is a transformational source. The Bible is the story of someone who came to earth to rescue us. The Bible isn’t some practical tool box to fix your life — it tells us to “fix your eyes on Jesus” and then everything starts to look different. • Read the entirety of Psalm 119 today. • Are you reading the Bible regularly? Why or why not? • How can you help each other stay in the Word? • Write down your Bible reading plan. Those closest to us can create the deepest wounds, and if we try to heal our own wounds, they can become tremendous burdens in our lives. It’s when you are wounded that the enemy of God will come and begin to speak lies into your heart and mind. The burden then gets created out of these lies. What wounds do you have? What lies has Satan told you and you believed? How do you try to fix things yourself? Why is it hard to trust God with our hurts and burdens? Our Family Freedom Ministry is here to help you navigate through any strongholds you may have. For contact information or to find more resources click here to visit the Family Freedom Resource Center. Restoration means to take something back to its original condition, its original owner or its original purpose. Psalm 80 is a prayer for restoration as God is the only one with the power to restore our hearts, our homes and our nation. Prayer: God, I need you to restore my heart. Help me to trust you and your power to restore my heart. I need you to restore my home, my relationships and our nation but I recognize that it begins in my heart. Help me to take these steps towards you and allow you to restore my heart. Our identity (who we are, our value, our purpose) is not defined by our successes or our failures. God gives us our identity and we are His children (1 John 3:1). Prayer: God, help me believe that I am your child. The responsibility of restoration belongs to God. We can’t fix ourselves or other people. However, we need to ask God to restore our hearts and trust Him as He restores us. Prayer: God, help me to trust you to restore my heart. God uses His children to accomplish His work on earth. You are created in God’s image and God has a purpose for your life. The enemy lies to us and tells us we are a failure and need to go back to our old ways. Prayer: God, help me reject the enemy’s lies and believe what you say about me and your plan for my life. I’m drawing a “line in the sand” today and asking you to restore my heart and my home. I choose to believe you and serve you. In Jesus Name, Amen. This morning Pastor Ryan focused in on the power of God. Power was defined as the capacity to affect change. With that definition, we can conclude that God’s power makes any other power look weak. When we encounter the power of God, we should praise him for how great his power is and also that he is all powerful in all of his attributes. God’s power is absolute power. Man’s power is a dependent power. Man’s power is dependent upon first acknowledging need. Realizing that man must be dependent upon a power that transcends you. It means submitting to God’s will. When you think of power, what do you think of? What are some ways that you have seen God be all powerful? Do you always recognize your need for God? What are some areas where you struggle to submit to God? How we gain power from dependence upon God? Spend time praising God for his absolute power. Thank God for allowing us to be dependent upon Him for strength and power. Repent of ways where you may not be walking in God’s will or be submitting to Him. Ask God to help you walk in dependent power and to rest in His absolute power. Kingsland is blessed with many men who are seeking God’s heart for their lives, interceding in prayer for the marriages and their kids, leading strong both spiritually, relationally and working hard to provide, all the while trusting God as the ultimate provider. Psalm 131, written by King David, contains some very practical lessons on servant leadership that men can apply as they lead their homes. 1. Redefined Power | Power is the ability to create change. Smart parenting involves both the use of hard and soft power. Parents must balance their use of both and exercise wisdom, humility, and grace as they lead their children. Do you tend to be too hard on your kids or too soft? What is the danger of these extremes? 2. Accepted Limits | Dads must help their children understand the value of boundaries. Doing so can help keep our kids on track. What boundaries have you set for your kids and why? How do you explain to your kids the value of boundaries? | Great leaders and great parents reach a maturity in their walk with God that anchors their souls to God’s faithfulness — so that when storms arise, or times are confusing, they can be at rest. In what ways do you or should you model contentment for your kids that assures them you are trusting God? The Bible affirms that life is sacred — that we are made in God’s image, that we are His special creation deserving of being treated with dignity and respect regardless of race, rank, or riches. Every act of kindness as well as every act of violence that is committed in the world today is motivated by an underlying worldview and what that particular worldview teaches about the value of human life. What an individual believes about the value of human life can motivate them to either aggressively hurt others or to compassionately move in the direction of the hurting. For too long, we have limited the scope of our understanding of the sanctity of human life to abortion alone. Abortion is indeed a violation of the sanctity of human life — but beyond this particular violation there are many others. • What are some other ways in which the sanctity of human life is violated in our world today? As the primary faith trainers in their homes, parents must intentionally teach and model for their children what it means to value all human life — including their own. An individual who feels that their own life has little or no value is likely to have little or no regard for the welfare of their neighbor. Our children must know that they are of inestimable value to God and to us. By so doing our children are more likely to affirm the worth of others, less likely to harm others, and more likely to stand against and to defend those whose lives are in danger. • In what ways are you helping your children understand what it means to value human life? • How are you guarding your children against media and messages that teach a disregard for human life? • What can you and your family do to stand as champions for the value of human life?